Designing a building for your team to occupy is a rare opportunity. JW Architects seized that opportunity to explore two ideas of critical importance to their firm: collaboration and high energy performance. 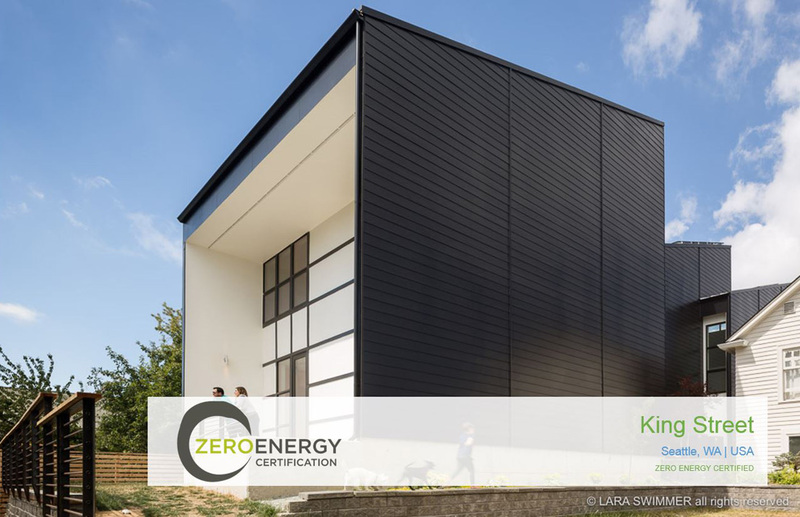 The firm has been on a four year journey to design, build and achieve Zero Energy in their new office building, located at 1257 South King Street in Seattle.  The building recently received Zero Energy Building Certification from the International Living Future Institute (ILFI) – only the second office building in Seattle to achieve certification. 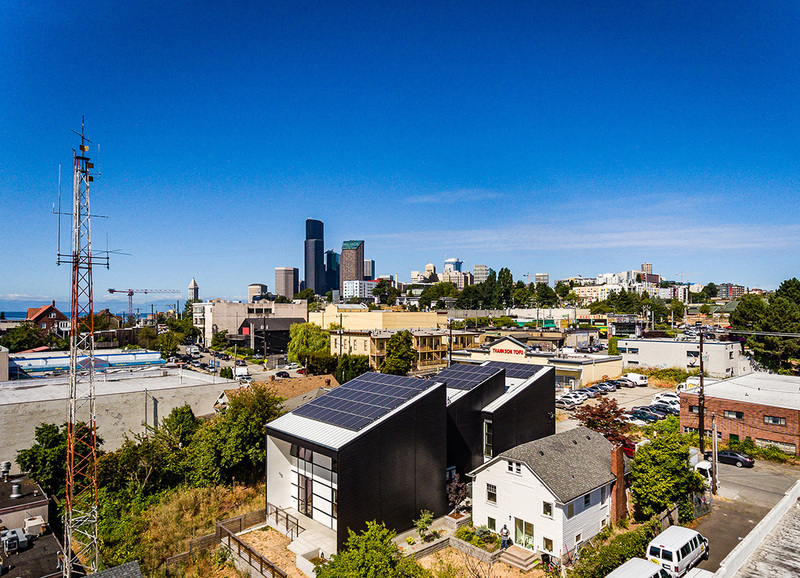 In 2014, JW Architects selected the site in the urban core of Seattle for its proximity to their homes, projects, and transit options. The project supports alternate transit with bike parking, showers and clothes storage. The 2-story, 3,600 SF office building has blown-in insulation, LED lighting, a tight envelope and windows placed for views but minimal heat loss or gain. 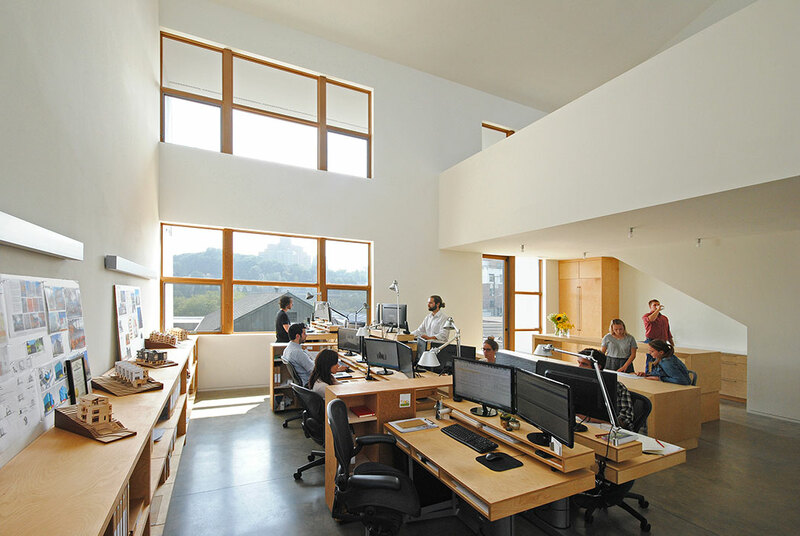 The natural light that floods the building also allows the occupants to go through their workdays with minimal overhead light. 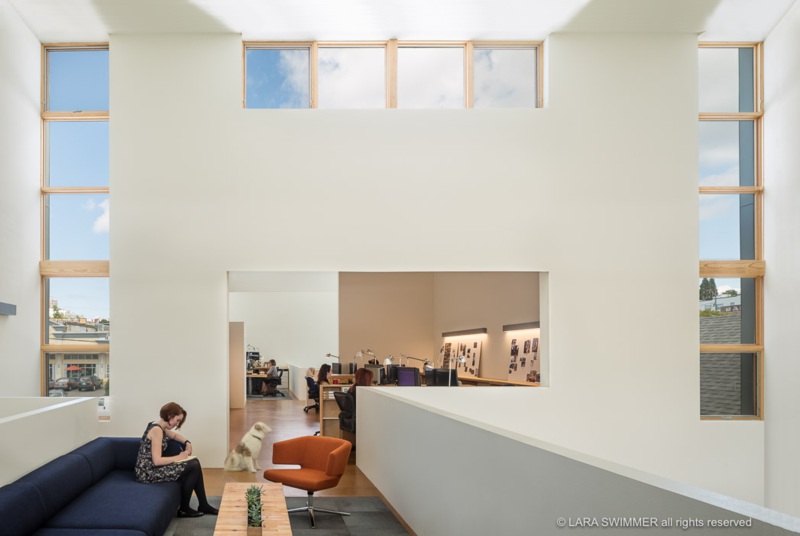 The saw-tooth roof line and clerestory windows support energy efficiency goals and complement the industrial nature of the food-manufacturing buildings in the neighborhood. The architecture and landscape was inspired by Japanese minimalism. 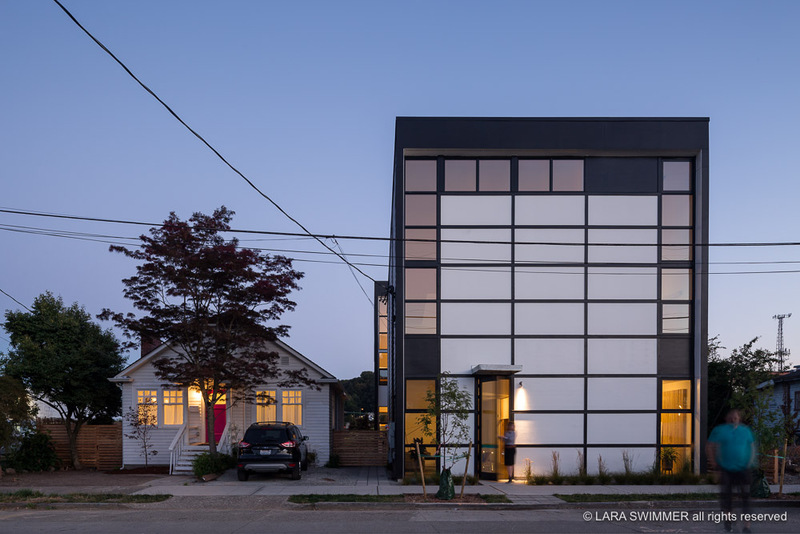 Simple lap siding covers the east and west facades, and traditional Japanese Shoji screens influenced the design of the north and south facades. King Street was awarded an Honorable Mention at the 2017 AIA Seattle Honor Awards. The International Living Future Institute is a hub for visionary programs. The Institute offers global strategies for lasting sustainability, partnering with local communities to create grounded and relevant solutions, including green building and infrastructure solutions on scales ranging from single room renovations to neighborhoods or whole cities. The Institute administers the Living Building Challenge, the environment’s most rigorous and ambitious performance standard. For more information, visit www.living-future.org.